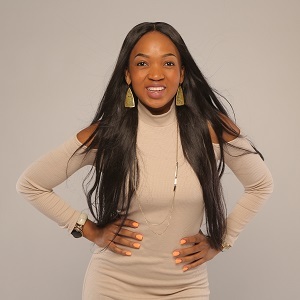 Mpumi was admitted to the inaugural class of the Oprah Winfrey Leadership Academy for Girls, which opened in 2007 in Henley-on-Clip, South Africa, and graduated in 2011 amongst the top of her class. It was all part of a communal expectation for Mpumi, whose name means “success” in Zulu. “ – Creative Loafing Charlotte, 2013. From the social extreme of a young South African girl losing her mother to HIV & AIDS and being orphaned at the tender age of nine, to speaking across the United States at conferences, panels, fundraising events and being listed amongst motivational speakers such as Gloria Mayfield Banks; Schroeder Stribling, the executive director of N Street Village (a nonprofit for homeless women) and the media mogul powerhouse Oprah Winfrey herself– Mpumi Nobiva continues to reach for her dreams. In May this year, Mpumi Nobiva co-keynoted with 2011 Nobel Peace Prize Laureate and Peace Activist, Leymah Gbowee at Queens University of Charlotte, North Carolina. She has spent the first half of 2015 in the City of Cape Town, as part of Ciee International Arts & Sciences study abroad program at the University Of Cape Town. Whilst attending to her studies at the University of Cape Town, Mpumi became an official Relate Bracelets International Ambassador, 17th April 2015. Mpumi has launched an international empowerment campaign titled: #ShareYourStory, Inspiring Courage. Summary: Mpumi’s answer to the five questions! Listen to the full conversation on the player above; also available on iTunes, Stitcher and Soundcloud. I remember coming across this quote and I used to think that how is it that you can take bold steps that are not fear-driven. It seems like the idea is it comes from fear, but making choices that reflect our hopes was just unimaginable for me. After going to the academy, I started to understand that courage is an extension of hope. When you hope for something truly, you diminish the possibility. You actually use the fear to propel you towards that hope. You make the fear work for you. I want to say Ms. Oprah Winfrey for obvious reasons. Just the example that she’s been to my life, but I really think the appropriate answer to this question is my grandmother. Everything this woman ever says to me is a hope – “I hope God blesses you.” “I hope he makes all your dreams come true.” “I hope that you are more than what I am.” I tear up because she has always articulated her hopes for me. That is such a beautiful thing because it’s always added so much to who I am. It’s always added so much to the strength and the force that I can bring that I witness myself bringing to the world. It comes from that space of love that has always been influenced by her hopes for me. I was born into a world stacked with “Nos”. I was born into a world where we’re living literally in poverty where my whole family had to survive on $3.00 per day. My grandmother a domestic worker, my father fixing cars, my mother a teenager with no relationship with my dad who was also 22 at the time and being born into a township that was so disadvantaged literally on a national scale. Coming from that world to where I am now has been literally moving from one strand of hope and possibility to another. There definitely has been no coincidence in how I’ve ended up in certain places. A year or two after I was born, the power had shifted. We had voted Nelson Mandela into power and it was like a free nation democracy which was good, but also bad in the sense that we still had a lot of interparty conflicts. The areas that were most populated with minorities would still have a lot of fight for power and for those reasons there were a lot of violent conflicts that would break out into the townships that we lived in so we had to run away from that. We left every little thing we had in our shack and we fled to Rosettenville where I would grow for about 10 years of my life. That’s where I went to school, attended church and learned how to speak English. That’s where I literally started opening up to the world until the point where I was approached and told to try out at the academy. Arriving at the academy was a tremendous experience because outside of the fact that I had all those people supporting me, I also had a space to become myself. I had the permission to become whatever it was that was a true and a real expression of myself. I have a campaign that I launched, it’s now a year old and it’s called Share Your Story and the tag line is Inspiring courage for you to believe that you are more than your circumstances. The first time I ever spoke about growing up in poverty and losing a mother to HIV/AIDS was at the academy. I was attending a world AIDS day program. They gave statistics and information about the disease, but I didn’t see myself coming through that as an AIDS orphan. I felt that we needed to do more. We needed to share the stories. If you want the average man or woman in the streets to listen and understand what those statistics mean, then you need to tell the story. That was a hope and it was literally going against the stigma that is associated with the virus. A lot of the places in the continents back home where we are, are not able to openly talk about these things. I had the tremendous ability to be in a space where I knew I would be listened to and I was able to act of courage and hope and reveal myself to the world. That would be the cornerstone that literally holds this brand that is now growing. It all literally started from sharing the truth and I do it with hope that it would inspire many other orphans. I’m 23 and I lost a parent through AIDS and I know that my life was different because before my mother died, she actually shared her truth with me and she spoke to me. After she told me that she had AIDS and that she was going to die, she wanted me to promise that I would go to school and I would always be good. In the same breathe, this woman said that you are going to be different, that you are going to do so much more. That is a form of hope as well. I would make every other decision, moving on from that, based on the truth that she shared with me. I share my story. It started at the academy. I was told by one of the ladies on the planning committee that I sounded really convicted in my response and so I was later invited to speak. From there, I was invited to Grahamstown Arts Festival. It was a program called Think Festival. What happens is that every time somebody hears the story, they would reach back and refer somebody. I got invited from one program to another. A really great highlight was sharing the stage with Ms. Leymah Gbowee who is a Nobel Peace Prize Laureate. That was so defining. When I thought that was it, I flew to Canada to work with Dignitas International Organization and the Stephen Lewis Foundation. (2) Allow your truth to shape who you are in this world.